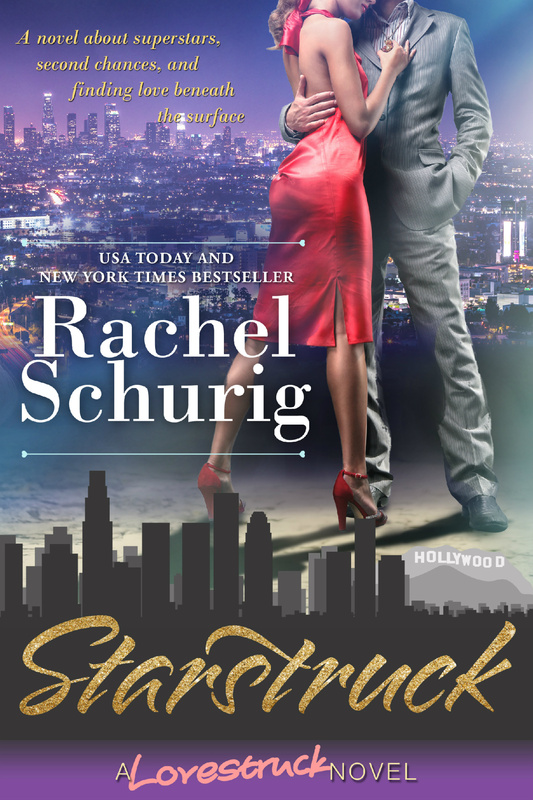 This entry was posted in Uncategorized and tagged celebrity, chick-lit, ebook, iBooks, kindle, Love Story, Lovestruck, movie star, nook, romantic comedy by rachelschurig. Bookmark the permalink. LOVE LOVE LOVE!!!! This series is one of my all time faves!! I am so glad that you wrote a story for Sophie and Jackson. Can’t wait until the next one comes out!! I really enjoyed this book, such a good flowing easy to read book. Love all the characters, and hope there will be at least another book to the series, especially about Thomas and Lizzies baby….. Thank you!! There will be more! Sorry for the late reply! Thank you, Kimberly! This was the best of the Starstruck series. please bring us more of Sophia and Jackson, maybe their marriage . Loved them all. Yay! So happy you liked it. I have a major crush on Jackson, lol. You’ll see more of them! I’m not sure what month the next Lovestruck will be out. Stay tuned! I loved it so much, but I also have lots of questions like who will be beths father in the birth certificate?, will Beth call Jackson “Dad”?, what is sam doing now as a job?, and how and when will LIZZ and Tommy tell the fans about the baby? Or is it all in the next book? You’ll find out a lot more in the next book! My favorite series! Ready for the next book!! Hi rachel, after reading this book, i love sofie and jackson so much more. I hope you will write an entire book about them again. I really enjoyed reading startruck that i had to force myself to stop reading and get some sleep. I would read some of my favorite parts over and over again just so i could hang on to it a bit more not wanting it to end. Thank you so much, you gave us so much happiness. God bless! I’m sorry I missed this comment before. Thank you so much for reading, I’m so glad you like the Lovestruck series! Hi rachel, i hope you can write another book about jackson and sofie. I love them so much! Waiting for another lovestruck book. God bless!